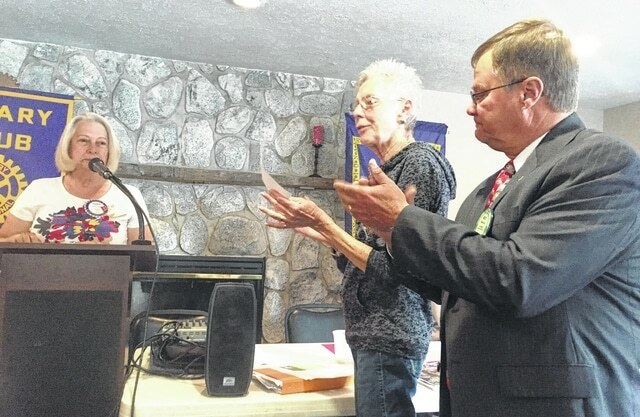 Another $3,000 donation was made Tuesday from the Hillsboro Rotary Club to the Highland County Society for Children and Adults, after Rotary officials said the end of the fiscal year resulted in some unexpected additional funds. Shown are Karen Faust, left, Rotary president, and Gayle and Rocky Coss. Gayle Coss is the director of the Society, and Rocky Coss leads Rotary’s HCSCA fundraising drive each year.